Canvas. 180cm x 90cm total size. 3 pieces each 60cm x 90 cm joined together by artist. 1975 original one of. Acquired from original purchaser with original receipt of purchase. 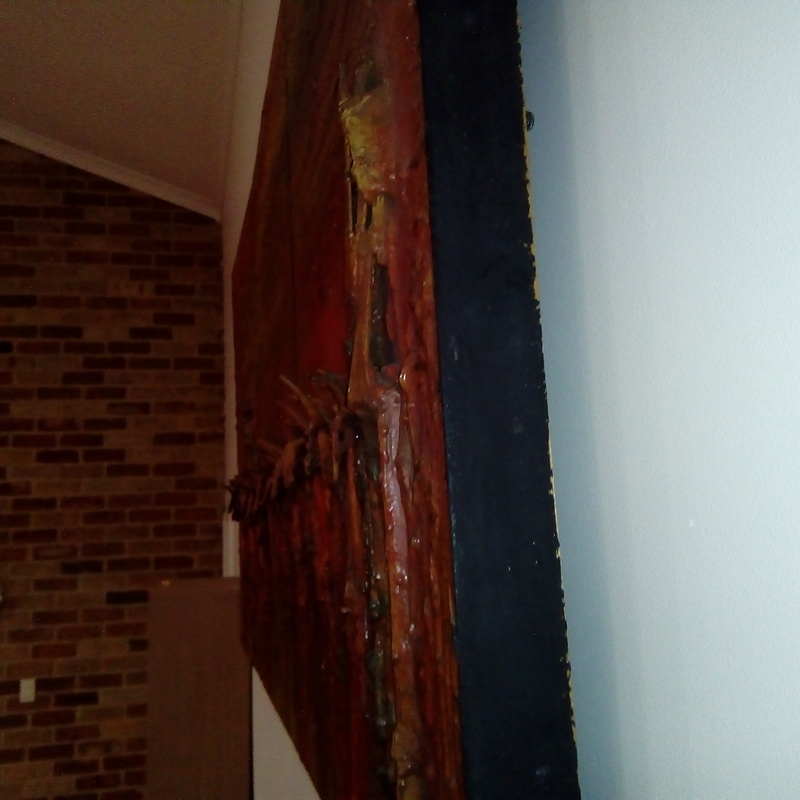 This is a vintage, 20th century, 1975, original triptych painting that is done in heavy impasto and bas-relief applied mixed media that is entitled Roaring Thunder by a self-promoting Australian artist, Len Zuks (born 1950). Triptych is a term for a 3-part work. Impasto refers to thick or heavily applied paint. Though works by Zuks have been offered at auction in the recent past they rarely sell though. He is not heavily sought after by collectors currently. The estimate is for all 3 works together as a whole and is based on actual recent past recorded auction sales of comparables. Retail 'asking prices' can be higher and vary.